You&apos;ve heard of build-your-own-burger. What if you could apply this to your next beer excursion? 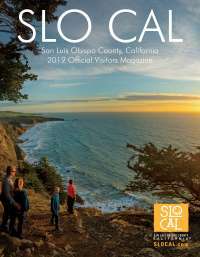 Northern SLO CAL is known for its pastoral beauty, friendly community events and incredible wine. But did you know that you can also sip some of the best craft beer north of the Cuesta Grade, too? 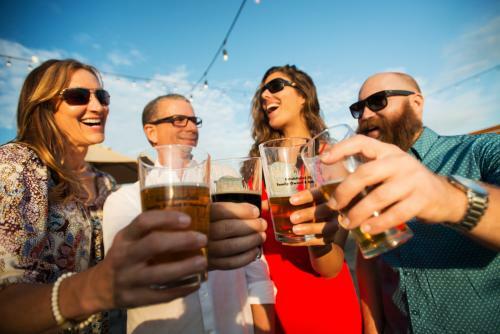 Whether you book a local beer tour service, call a car or enlist the help of a designated driver (a.k.a your best friend), you won&apos;t want to miss any of these great craft beer hangouts. We broke your adventure into a few days, so you can really savor those suds. Mix, match—build your own adventure. So, you&apos;ve just got into town. Stretch those legs and follow us! Starting from our southern-most beer hot spot in Northern SLO CAL, let&apos;s kick this weekend off with a relaxing and rejuvenating afternoon. Stop in at Dunbar Brewing Company, where the local brewer gives new life to ancient beer recipes. You can also find a swath of craft cans and bottles in the refrigerated case—plus, live music on certain weekend nights. Book a chill vacation rental or bed and breakfast in Santa Margarita or go for a more traditional hotel in Atascadero, where the motel/hotel lodging options are plentiful. Rest up. Tomorrow will be a doozie! Today will be full of activity, so pack your SPF, a water bottle and your iPhone charger (hey—you&apos;ll be out till dinnertime). Nearby Dead Oak Brewing Company is a fresh addition to the charming downtown Colony District and easily walkable (note: beautiful Sunken Gardens a worthy place to stop for a moment in the sun and a snack). Time to hit the coast! Morro Bay is just a few miles west on Highway 41. Dig into lunch on the Embarcadero, where Libertine Brewing Company serves fish and chips, burgers, and more alongside 37 taps (you&apos;ll try house-made sours as well as the best craft beers from around California). From the seaside dining room, marvel at Morro Rock. Now is a great time to do some shopping on the Embarcadero and pick up salt water taffy. Keep an eye out for otters and seals! Last stop: Three Stacks and a Rock Brewing Company, which is proudly small yet mighty (in fact, they call themselves a “nano” brewery). Not a bad way to finish off a larger-than-life day of SLO CAL craft beer. No Northern SLO CAL beer tour is complete without a visit to Firestone Walker Brewing Company&apos;s expansive brewhouse (seen from the side of Highway 101). Stop in for a brewery tour, taste a few snifters, and grab a souvenir (or beer to go) at the gift shop. You can also sit down for an elevated pub grub lunch at the Firestone Taproom Restaurant (the Baby Back Ribs braised in Firestone Walker Double Barrel Ale are truly delicious). Nearby Tin City, a hip warehouse district chock full of epicurean delights, is home to BarrelHouse Brewing Co.&apos;s scenic beer garden, known to host food trucks and live music on the weekends. Head downtown, where a plethora of shopping and dinner option await in Paso Robles&apos; quaint walkable epicenter. Community events are held year-round in Downtown City Park, at the heart of it all. End on a high note. Make your way to Silva Brewing Company, a tiny taproom with a big reputation (thanks to owner and former Green Flash Brewer Chuck Silva). 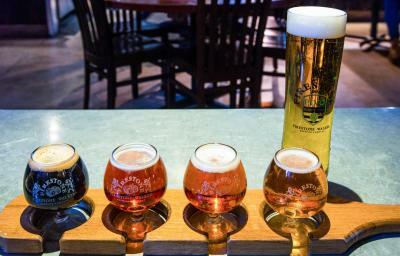 A flight of Silva&apos;s clean, crisp beers are the perfect way to end your weekend in SLO CAL. Take a crowler back to your room or your hometown. It&apos;s always good to bring back a few (drinkable) memories to enjoy later in the week!